ePublishing Knowledge BaseePublishing Knowledge BaseePublishing Knowledge Base EditorialHow do I print the article from my website in either preview mode or after it is published? To print a preview or article to PDF, use your browser print functionality. 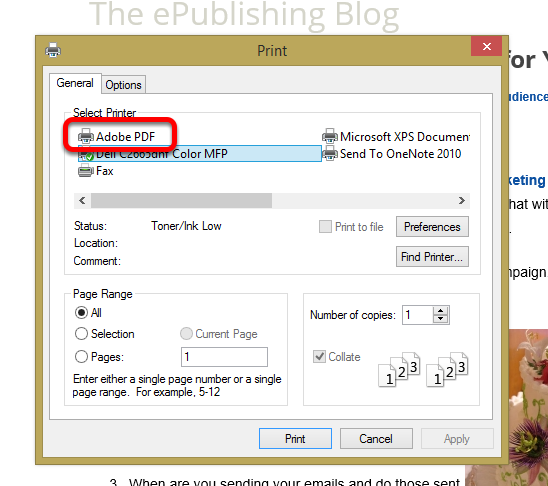 Depending on which operating system you have, it may be easiest to print to a file > PDF. This article shows you how to do that. If your article tools include a "print icon," click that to view the printer-friendly version of your article as designed by ePublishing. Then follow the instructions by browser and operating system that follow. NOTE: If your sharing tools are AddThis or ShareThis with a print icon, ePublishing does not control the layout of your printer-friendly version of the article. Be on the page you wish to print. 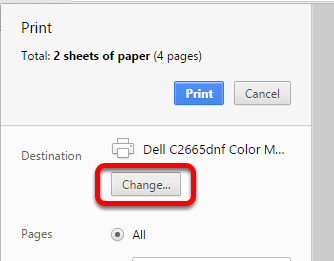 Print to PDF (see screenshot for the icon and options). 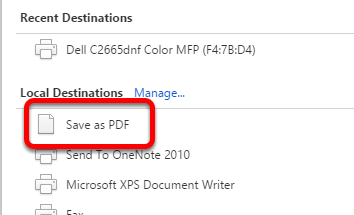 Follow the steps to save the PDF file or open it to Preview and Save. Under the menu on the top right, select Print ... or use the keyboard shortcut Ctrl P.
If the Destination does not show Save as PDF, click Change. 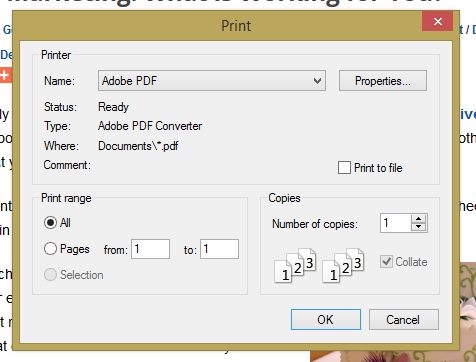 Select the pages you'd like to print to PDF. 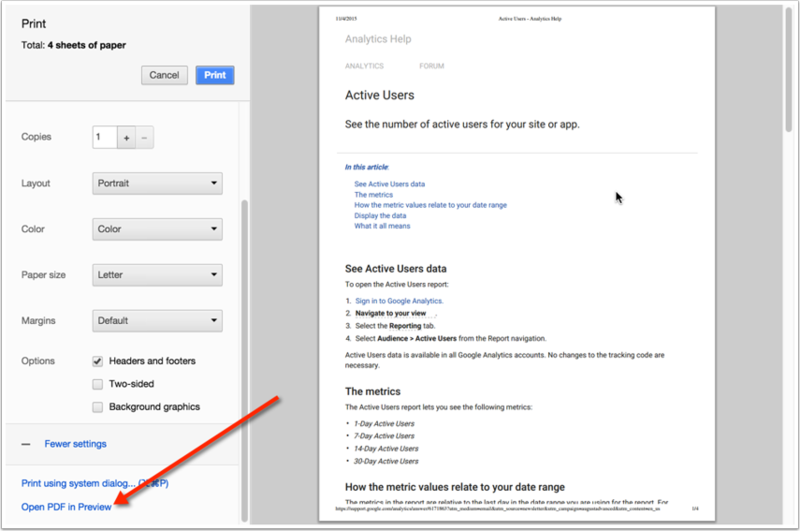 You may not want the first page if it shows just menu items. And then click Save to create your PDF. On your keyboard, select Ctrl P. Or under the settings menu (a gear icon on the top right of your browser window), select Print. Use the keyboard shortcut Ctrl P or select Print under the menu in the top right of your browser window. Select Adobe PDF from the Printer Name Dropdown. Click OK to print to PDF. Prev: How do I copy an article from one of my websites to another? Next: How do I create whitepapers or other downloads requiring reader information or registration?